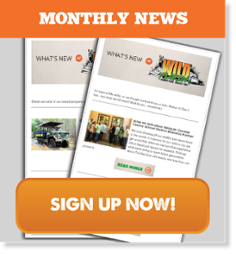 Things are constantly changing here at Wild Florida… in a good way! We want visitors to experience the best we have to offer out here in the Middle of Nowhere, Florida—from our airboats and animals to everything in between! So we’re always thinking how to amp up the fun, improve what we’ve got, and find new ways to delight you and your family! First came our airboat tours out here at the Headwaters of the Everglades—literally in Wild Florida’s backyard. That was our focus when we opened nearly six years ago. Today we’ve got a whole fleet of U.S. Coast Guard-certified airboats and nine captains on deck who know how to navigate these swamps like the back of their hand. Then came the boardwalk through Hawk Swamp, where you can stroll under a canopy of cypress trees, which happens to keep the air a wee-bit warmer in the winter and a wee-bit cooler in the summer. These cypress domes are ecosystems within an ecosystem, and characteristic of the Central Florida Everglades. Now we’re having fun showing off our new Macaw aviary and our playground, which the kids love almost as much as the animals! (It also gives moms, dads, and grandparents a moment to catch their breath while the little ones keep running wild... literally!) New additions for one of our sloths and our GIANT GATOR are the latest in our amazing animal architecture, which is functional AND beautiful. Coming soon is an expanded outdoor picnic area next to the Chomp House Grill, our stand-out snack shack run by Chef Ramon and crew. The Grill is a great place to try Florida delicacies like gator tail and catfish. 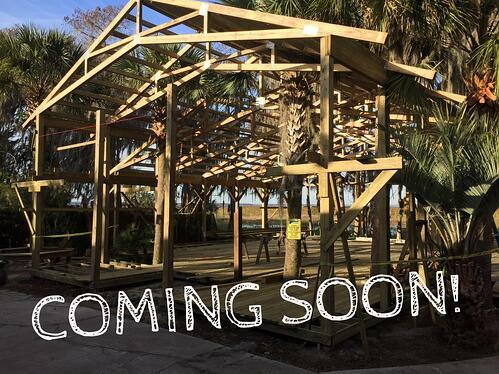 And soon you’ll be able to do it under a massive outdoor covered deck, directly overlooking the swamp! It's one of our favorite places to be, and we want our guests to enjoy it as much as we do. 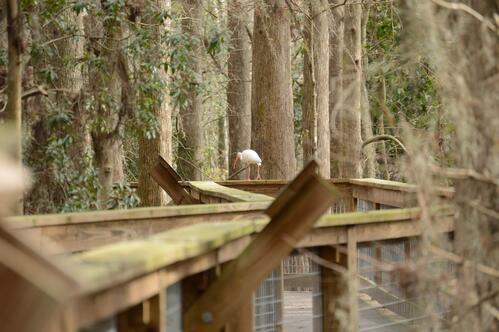 From here you'll be able to catch a glimpse of native Florida animals in their natural habitat, beat the sun or stay dry during an afternoon rain shower. Most of our development, additions, and changes over the years have been inspired by YOU, our visitors—young and old, tourists and locals, nature lovers and those soon to be after a trip here! Just like the park, the family behind Wild Florida is also growing. Not only do we listen to feedback from visitors, our families help steer us toward ways to make a trip to Wild Florida not only convenient, but worth remembering for a lifetime! What’s next? The sky’s the limit!